Toby Price's Mitsubishi Triton will sport new backing at the second round of the ECB SuperUtes Series, at the Winton SuperSprint later this month. The 2016 Dakar Rally winner is contesting a partial program in the new series with the factory-backed Team Triton, around his off-road motorcycle commitments. Price finished second overall in the maiden round with race results of fourth, fifth and fourth at the Adelaide 500 in March. He will line up again at Winton on May 18-20 - the rest of his campaign still to be locked in - with Bowser Bean Cafe adorning the side of his Triton. 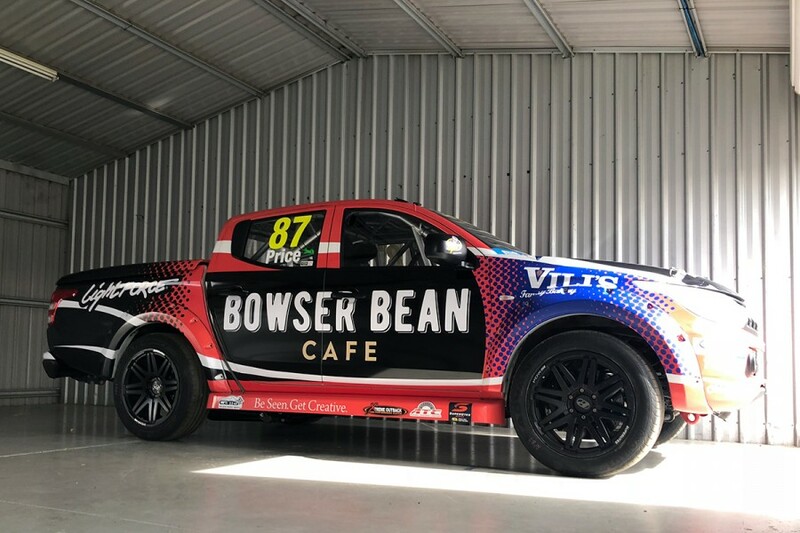 Bowser Bean Cafe operates out of five service stations in regional Victoria, making it a logical fit for the Winton event. "I'm stoked to see Bowser Bean has joined the team and can't wait to get to Winton later this month," said Price. 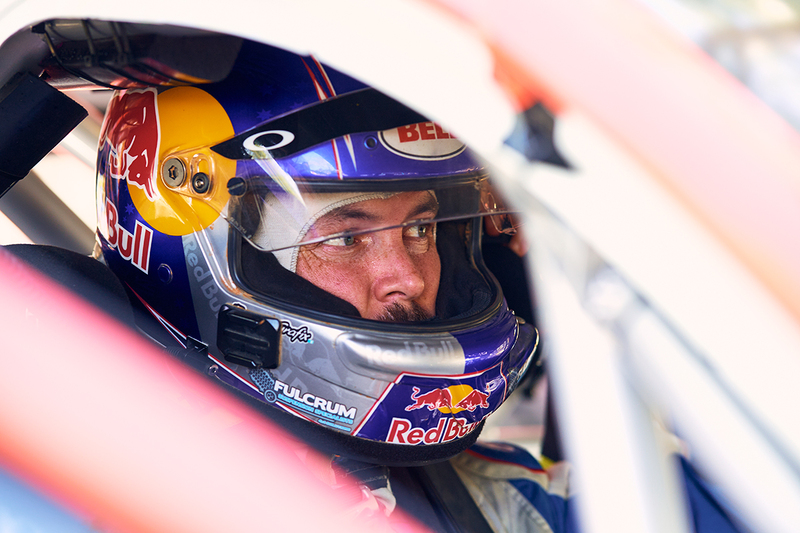 "I'm really excited to get back in the Team Triton SuperUte, since Adelaide I haven't had the chance to get back on four wheels so I can't wait. "Craig [Dontas, team-mate] has done some testing with the Triton and made some changes so I'm really looking forward to seeing where they are at now." In recent weeks, Price contested the six-day Merzouga Rally in Morocco with his factory KTM outfit, finishing sixth overall but frustrated by an organisers' decision that cost him a podium. He is also preparing a truck for the Finke Desert Race in June at the workshop of Supercars outfit Tekno Autosports. The Mitsubishis were among the SuperUtes at Winton in rural Victoria last month for a two-day test, ahead of the second round of the new series. Dontas hailed the running as more valuable than "six months off track" for the Triton package. Former V8 Utes and GT driver Elliot Barbour stood in for Price at the test, focusing on what Dontas described as “chassis tunability”. Barbour is expected to steer Price’s entry when the latter’s off-road commitments clash with SuperUte rounds. Craig Woods (Penrith Toyota Hilux) heads to Winton leading Price by 21 points, followed by Ryal Harris (EFS 4x4 Mazda BT-50) and Matthew MacKelden (Kubota Tractors Hilux), with Dontas eighth in his Total Tools-backed Triton. 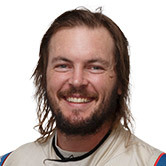 Harris and Mazda team-mate Aaron Cameron skipped the Winton test in favour of running closer to Peters Motorsport’s Queensland base. Steve Wilson will join the field for Round 2 in a Ross Stone Racing-prepared Isuzu D-MAX, marking the debut of the sixth SuperUtes manufacturer. The Isuzu missed the season opener due to engine homologation delays, but completed its first full track test in last month’s running at Winton.